8. Purrseidon 9. 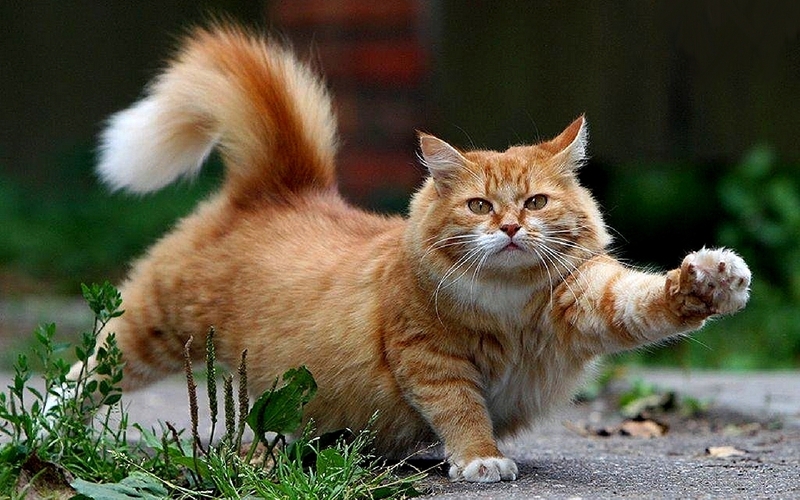 Kathe W.
Cute kitty doing a good stretch. Have a wonderful weekend! A great reminder to stretch. Have a great Feline Friday! Fore. I hope that I don't have to say fore after I take my shot today. I would hare to hit someone in the head Fore. As you can see I'm leaving to play some golf this morning. I've got 3 large bottles of Gatorade since it will be around 93 degrees today. Great picture. What a great looking cat having such a fun time. Sandee, you and Zane have a fantastic day. Pretty kitty! It's important to stretch! Sending (((hugs))) and purrs as you remember Little Bit. What a lovely pose!!! I hope you have a great weekend, Sandee! Thank you so much for sharing. Awww… I am a dog kind of guy, but these cats on the internet are making me think twice. Looks just like my Larry the Lion! He was a sweetheart…but then aren't they all! Hugs all round honey! Man that was a tasty mouse!!! I think he's doing yoga to work odd those extra pounds. Sandee, for me this is the best cat picture you've ever posted. I think he/she just got up for a nap and now is having a nice stretch. I don't remember seeing a long haired tiger cat before. Our Farrah Fawcett Minou (Menieux) was long haired, but grey striped. Hands – 4, some others did this way when younger, I did out in the melon patch. Glad you like this cat. Stretching is over. It's nap time! Cute. I can hear the photographer saying "hold that pose"